The semi-reclusive Varg Vikernes, sole composer of Burzum, has announced his plans to release a film and a new role-playing game (RPG). As part of the film project, he has revealed a new track designed to act as part of a soundtrack for the film. As if influenced by some of the non-black-metal soundtrack material from the film Until the Light Takes Us in which Vikernes, as in Lords of Chaos, the most in-depth story of black metal before it, Vikernes opts for a down-tempo single guitar track with no distortion. The result utilizes a slow and gentle sweeping arpeggio behind which lower notes direct the evolution of the track, much as happened with the countertheme in “Rundgang um die transzendentale Säule Der Singularität” from Filosofem. As the song goes on, these layers interact to push change into the main theme, not in the electronica method of circular layers, but the metal one of a narrative expanding from within itself. It is hard to tell if this is the type of material that will be on the forthcoming Burzum album Sôl austan, Mâni vestan. While many consider the “keyboard albums” among the band’s best output, a mixed-medium album could be interesting. While this new track has one foot in that world, it also has one foot in the more audience-geared world of the last few Burzum black metal albums. Doesn’t really create a mood as powerfully as Decrepitude II or Der Tod Wuotans. “ForeBears” is a painful pun. I admire that. This track would be really cool as part of something else. As it is, it’s kind of like three steps toward something bigger that never comes. I dont get it, forebearers like bears = forebears? Is there an origin myth of the northern peoples that has something to do with four bears? I was thinking goldilocks but even that has only three of the stupid things. Plus bears are very anti-racist and dont discriminate between vikings and other convenient human meat. soundtrack writing is a different experience to writing stand alone pieces. the music is meant to sit under the images usually, so cant be as busy or engaging as it might otherwise be. given that, this piece is actually ok. not amazing, but some nice little suspensiony moments in amidst the plodding chord sequence. I see Varg is going for the Yanni look these days. Good for him. It could go either way, however I think Varg could perfect this concept and it could stem far from being “hippie”. A worship of runes, heritage, and earth (not the flower child representation), could be something reminiscent of Lord Wind. These musicians should have faded into obscurity after Euronymous died. Total Death was bland, everything after was barely listenable. Burzum’s last song on Filosofem always has me thinking “damn, last album in metal worth buying that I own”. Now, with all the documentary appearances and whatnot, these guys really are shitting on whatever legacy they had. This track sounds like an interlude that would exist on some random band’s depressive/folk/black album. It’s just kind of there. Not being nostalgic, but this is just dull writing. Like Wardruna’s conceptual/themed music, it’s very predictable and quickly becomes boring. It seems only Beherit and the Neptune Towers project were the worthwhile black metal dudes going ambient band. This is like Satyr’s failed mid 90s ambient attempt that sounded like Final Fantasy music. The fact that Varg himself feels ashamed of his past works (including Mayhem and Old Funeral), combined with the fact that his lyrics are taken directly from other sources now (poems), and his awareness over his public image… this is obviously only for the money. His Tangerine Dream worship is just another little side project that he can release on the side while he works on his true interests: political rants (every time you read an article on his sites, you generate ad revenue for him) and his Dungeons and Dragons esque game. The fact that he’s suggested doing VLOGs on the comments to this video makes me feel like this is more sham work, like when the midget from Watain makes “controversial” statements, Frost cuts himself in public while arguing with a couch, or Gaahl appears in a VICE documentary. bitterman you are right, especially now that these guys have repositioned themselves to where the image is more appealing than the sound (to some at least). 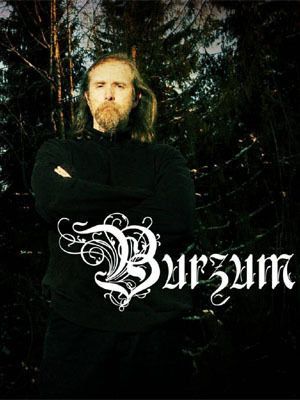 the last few burzum releases were worth a few plays then went back on the shelf…but i do not mind giving him my money, it is far worse to put cash into the hands of the PC metal scene. Please, no. The first minute is exciting, gets one wondering where this trip could lead, then it falls stationary, raising expectations for a change of perspective that doesn’t happen. At some point this is just some guy picking his guitar. Even idiosyncracies of amp settings catch my attention- I never heard a keyboard on DB or Hlidskjalf. Varg tries, no doubt; sounds like he went back to what worked last. WE try even harder, yearning to hear something profound in this piece. According to him, it will be all electronic. No. The album is all﻿ electronic.